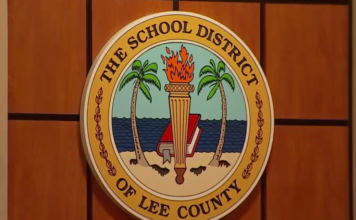 Amid the push for a half-cent sales tax, the Lee County school district has decided to list some portions of vacant land. A total of 26 properties were purchased prior to 2008, but much of the land is in Cape Coral where there is not a need for schools. But the projections were wrong. Now schools are needed in the East and South zones. According to a recent audit report, the district spent $72 million in total on the vacant properties prior to 2008. A recent market analysis by a real estate broker hired by the district found that the properties are now valued at $47 million. Selling off all the properties would not be enough to fund a single school. The district said it costs anywhere from $50 to $90 million to build a single school. of returning on the investment. Those are the ones that we are currently marketing,” said Mora. A 70 property for sale along three oaks parkway raised some questions with parents in the area. “There are so many kids, we need schools,” said Jessica Dew, a mother a middle school student at Three Oaks Middle. Dew feels the school is overcrowded because the car line is full everyday and her child’s classes are full. District projection studies show that schools in the south and east zones are at capacity. But student population is only one factor in determining whether or not a property is a viable location for a new school. 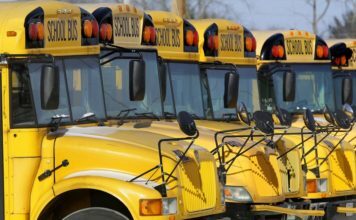 Mora said they keep in mind traffic, how kids get to and from schools, travel times and the center of populations where students live. He said the district looked at travel studies and determined the three oaks site would add a lot of traffic on the road. However, a market analysis felt because the property backed up to I-75 it might one of the areas where the district could potentially return on it’s investment. More added that he feels the district is now doing a better job at predicting growth than before the recession. “We brought in a consultant to refine our projection model. We are lot more accurate in our approach to predict enrollment and we are a lot more aware what’s going on in terms of development in our area,” he said.